Macedonian President Ivanov sends congratulatory message on service’s second anniversary. Anadolu Agency celebrated the second anniversary of its Macedonian language service on Thursday. The agency launched its Macedonian service on November 9, 2015 in capital Skopje. It has so far produced 25,460 stories, 11,260 photo galleries and 6,060 videos from the Balkans, Turkey and the world, becoming one of the most important news sources in the region. Macedonian President Gyorge Ivanov congratulated the service’s second anniversary in a written message. “The opening of Turkey’s official news agency’s Skopje office in 2015 is a demonstration of sincere friendship and mutual support between the Republic of Macedonia and the Republic of Turkey,” he said. “I wish that you will continue contributing to the enrichment of media services and setting an example with your professionalism,” he added. Anadolu Agency boasts 39 offices worldwide and produces news stories in 13 languages. It currently posts news in Turkish, English, Arabic, French, Kurdish, Bosnian, Croatian and Serbian (BCS), Russian, Albanian, Persian, Macedonian, Spanish and Indonesian. 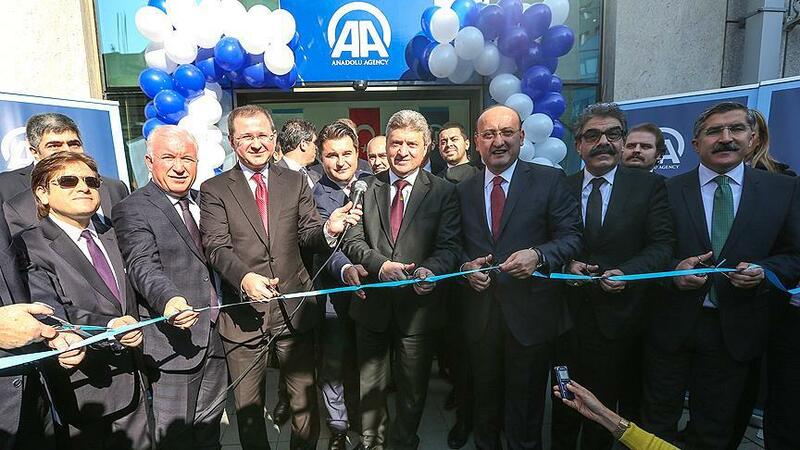 Anadolu Agency, which has recently opened four new offices in Bogota, Jakarta, Kuala Lumpur and Beijing, is one of the ten most influential agencies in the world. With almost 100 years of experience and a strong network of correspondents in 97 countries, Anadolu Agency delivers over 1,190 news stories per day, averaging 1,900 images, and 310 videos to its subscribers worldwide. Established during the first years of the Turkish War of Independence on April 6, 1920 as one of Turkey’s first national institutions, Anadolu Agency is committed to expanding its news network and power around the world with new language services and central offices.